Serie A giants AC Milan have not lost hope in their chase for Arsenal midfielder Aaron Ramsey, despite his high wage demands. 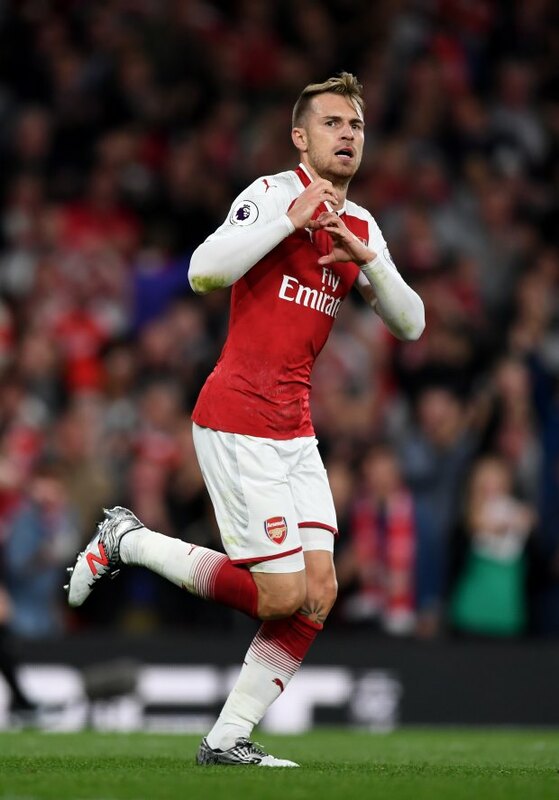 Arsenal and Ramsey agreed on the terms of a new contract for the player before the club decided to take their offer back and the midfielder is now expected to leave the club at the end of the season. The Welshman is out of contract next summer and with him expected to be available on a free transfer, a number of clubs are considering snapping him up. Liverpool and Manchester United have been linked with having an interest and even Bayern Munich are said to be considering signing him on a free transfer next year. AC Milan have long been keeping tabs on his situation as well and according to Italian outlet Calciomercato.it, the Serie A giants have not given up on their hopes of getting the Welshman. The midfielder’s wage demands are believed to be around €5m per season, a figure AC Milan are not in a financial position to provide at the moment. However, they remain hopeful that they will be able to convince Ramsey to revise his financial expectations and accept a move to the San Siro.